Some drivers have it made for them with positions that allow them to bring their spouses, family members, and even pets on the road with them. To work for a company that makes trucking a family affair is truly a valuable position and many folks with families are frequently looking for jobs like these in order to maintain a healthy work-life balance and ensure happiness on the road. 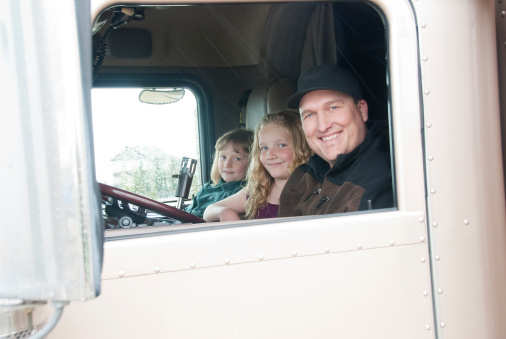 Depending on the trucking company, some drivers will even have the privilege to bring their child along on the road. These opportunities are often very impactful for the child, and can provide a great bonding experience as well as a way to see what a trucking job is like for their mother or father. Still, trucking with a child is incredibly different than traveling with one’s pet, husband or wife, or adult family member. There are many factors to consider in taking a young person on the road, and decisions to make before deciding whether or not taking your child along with you is a good fit for your driving routine and for your trucking lifestyle. For those who are lucky enough to find a truck driving job that has a family rider policy, many will find that there are still restrictions and guidelines in taking a child a road. The age in which a child may ride along varies by the company, but many will allow children to accompany a driver at about the ages of 8 – 10. Of course, these children must have proof that they are, in fact, the offspring of the driver. Taking along a family friend or a niece or nephew may not be allowed – it is often purely restricted to one’s direct lineage. After ensuring that it is permissible for a child to ride along with a driver, it is important to use one’s judgment skills to see if they will be a suitable traveling companion. With the prevalence of today’s technology in trucks and technology for personal use, many kids today are occupied by a screen of some sort, but they may get cabin fever especially if they are stuck in a truck for hours on end. Drivers must also think about their in-cab setup and how suitable it is for two people. Even cabs equipped with a sleeper often see a flimsy or narrow mattress in the bunk, in a space that is often recommended for only one person. Bringing along your child isn’t just about seeing if your company will allow you to do so, but also taking into consideration whether or not they will be comfortable and happy when going along for the ride. Still, there is something enchanting about the road that often entrances children who come along for the ride. Traveling through a state with a beautiful landscape such as Michigan or even down the Pacific Coast Highway in sunny California can be a transformative experience for a young driver. It’s important to think about what your child likes and what you might think they would find impressive. There is no definitive rhyme nor reason as to how or why a trucking company will afford a driver the opportunity to bring their child along. Sometimes drivers will be allowed to do so on their local route – other companies will see an OTR run as the perfect opportunity to allow a driver to bring a young person along. 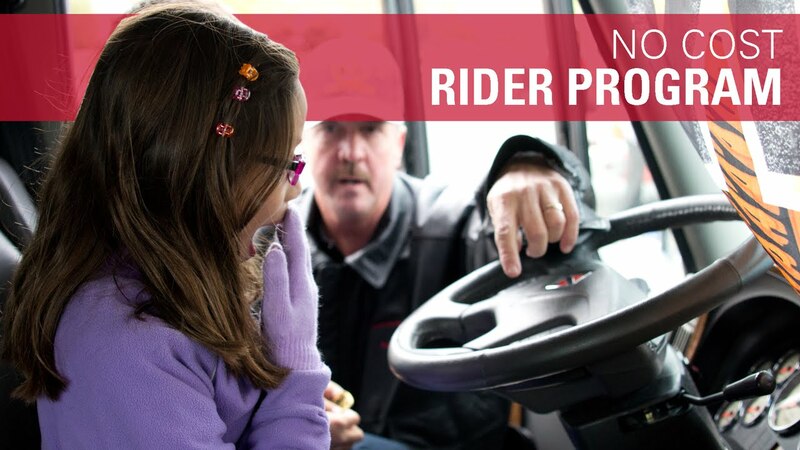 In fact, one of the few positions where drivers generally will not see provisions granted for children riders are trucker jobs that require endorsements such as Hazmat hauling positions or driving a tanker trailer. Still, it is once again up to the discretion of a driver to know whether their particular route will work for their particular child. It may not be a prudent idea to take a child through a large state with unforgiving weather like Texas, just as it may not be a great idea to take a child on a run through an area like Florida where weather can be disastrous and unforgiving. A key factor that some drivers may forget as well is that their trucking occupation is just that – an occupation. It is paramount to think about the daily activities that may be occurring in one’s job and whether or not a child is suited to come along. It may not be the best environment for a child wherein a driver has to unload the freight themselves rather than simply pulling into a dock and having warehouse hands unload a truck for them. Finally, a parent should think about the type of places they may need to stop along the way and determine whether or not they are suitable or appropriate for them. There may be some excellent family-friendly diners along the way that children will love to stop at, whereas some rest areas or diners may be a cesspool for bad behavior or foul surroundings. Despite the numerous factors involved in bringing your child along in the truck, many drivers love to do so because it can be such a rewarding experience for everyone involved. One of the main reasons truckers enjoy bringing their sons and daughters along is because it allows them to have the opportunity to bond with their children in a way that Skype and Facetime cannot provide. And while many drivers will not get to spend every waking moment with their children while on the road, there is still a great deal of personal time that can be found when the truck is ostensibly one’s home for the duration of the trip. Some of those who truck enjoy the advantage of providing a “vacation” of sorts for the child they bring along. A ride-along trip may not result in something spectacular or resort-worthy, but it can be a great way to show your child another part of the country that they may have never had the experience of seeing before. In some cases, it may even ignite a nomadic-feeling within a son or daughter, perhaps prompting them to inquire about trucking as a career choice or to make them think about taking on a job within an adjacent industry. With the need for more truckers growing as our population does and freight sees continual increases in the country, it would not be a bad idea to plant the seeds about a career in trucking or logistics in the minds of the younger generation. Moreover, the presence of a child in some situations for trucking may prove to be entirely beneficial for a driver. Some companies or clients who are having an otherwise sour day may be delighted to see a young person in the vehicle with a driver or may see their moods lighten. Clients may also realize that drivers, are in fact, people, too and have families they must support. Providing some firsthand visibility of the reason a driver may work (a.k.a. their family) may afford some other customers or clients some differentiating perspectives on driving culture. One of the major rules that a parent driver should keep in mind is that they need to consider the safety of the children passengers at all times. Just as they would protect their own livelihoods, a driver needs to consider what is best for the young people in their cabs and what practices will continue to make everyone happy and healthy. Another rule one must keep in mind is to consider the external factors on the route one is driving. Much like pets, children need to be attended to and taken care of in bouts of extreme weather or unpredictable climate features. When going through an area that may be incredibly hot or humid, drivers know that a cab is not impervious to the weather despite its tough exterior. Monitor how your passenger is feeling and give them water or food if needed. Most importantly – see if your child is happy while on the road. While it isn’t necessarily feasible to halt the plans of your route and face a potential delay of a delivery because your kid is unhappy, drivers should look out for their general well-being and try their best to keep them happy and entertained. By the same token, if it becomes apparent that a child may not be well-suited for a road trip, drivers should not force the open road upon them. 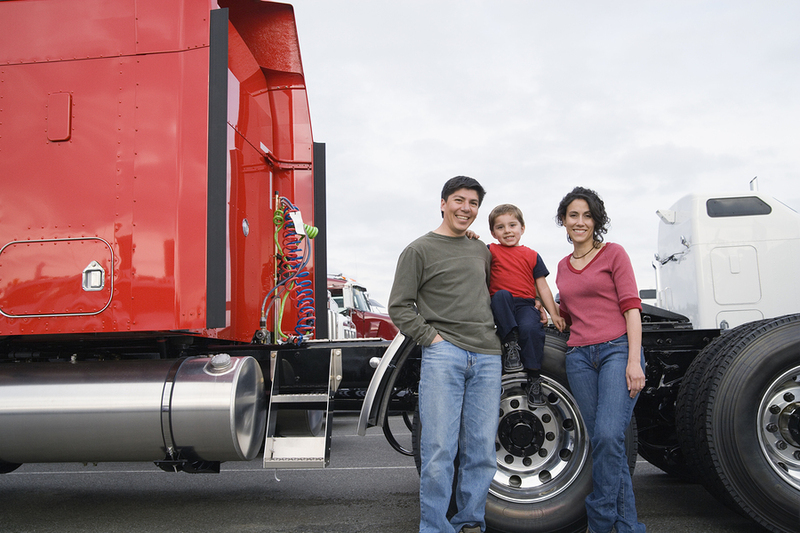 Overall, trucking with child can be an excellent way to keep in touch with one’s family and create lasting memories. No one will ever forget the time their mother or father took them on the road, nor will they forget the extreme dedication displayed by their parents in their time as a trucker.